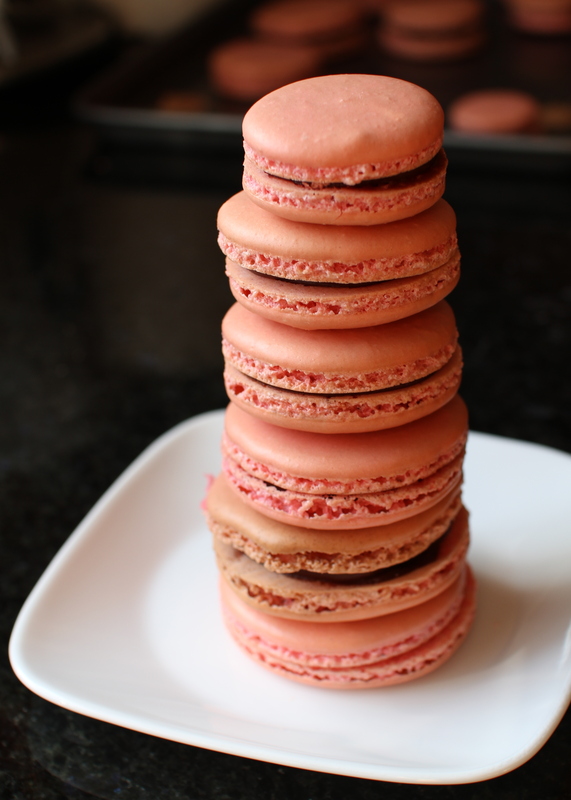 Peppermint and Chocolate Macarons [recipe] – Cin Cin, Let's Eat! Continue to spread the holiday joy by making some Peppermint and Chocolate Macarons! Peppermint extract will work the best, using “pure mint” extract will taste more like spearmint. I used a dark chocolate ganache instead, which is pretty much the easiest and most versatile! Slowly stir chocolate mixture with a silicone spatula to combine. Add butter and whisk mixture until smooth. Let cool, stirring every 10 minutes. Once ganache cools, pipe between two macarons. mmm… Macarons! If you opened a store, I’d come by everyday! These macarons look great! I’ve never tried one before but I keep hearing they taste amazing.